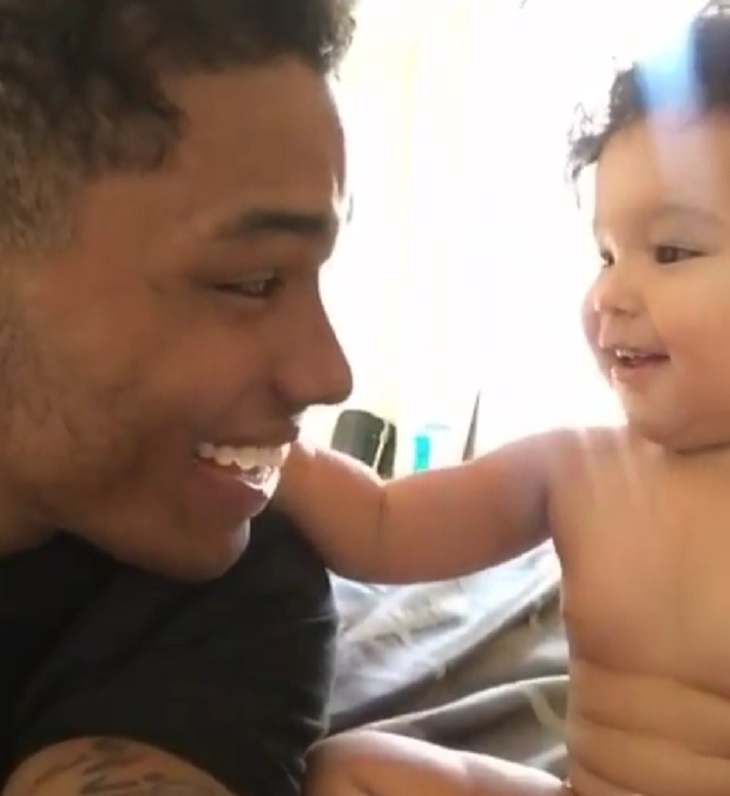 ‘The Bold And The Beautiful’ News: Rome Flynn Shares Precious Video With His Baby Girl Kimoko – Watch It Here! “The Bold and the Beautiful” star Rome Flynn (Zende Forrester) clearly has his hands full trying to teach the how-to’s of high-fiving! Flynn is impressive in the role of acting coach/director as he coaches daughter Kimiko. “Hey baby can I have a high five please?” he asks. The reluctant toddler responds with a long, “noooo,” albeit with a delightful smile. Related: Soap Stars Who Have Dated In Real Life – Tyler Christopher, Eva Longoria, Justin Hartley, and MORE! Maybe baby Kimiko just couldn’t find her motivation that day! Still, like a true professional Kimiko rocks a camera-ready smile and a gorgeous hair-do. Thankfully things are going smoother for Flynn onscreen. The up-and-coming photographer has reconciled with girlfriend Nicole Avant (Reign Edwards). He was invited to her sister’s baby reception, and welcomed as a member of the family by her father Julius (Obba Babatunde). Things look promising for the hip and happy couple, but in soap land is trouble ever far away? Zende’s ex, Sasha (Felisha Cooper) may be moving on up the Forrester family tree. B&B fans saw her and Thomas Forrester (Pierson Fode) share an emotional moment last week. How will Zende react to seeing his ex hook up with his relative? Fans will get to see if Zende is the jealous type, or if he is truly committed to Nicole. Either way, it’s a treat whenever B&B fans get to see more of sensitive Zende! Get Exclusive Rome Flynn News & Updates!